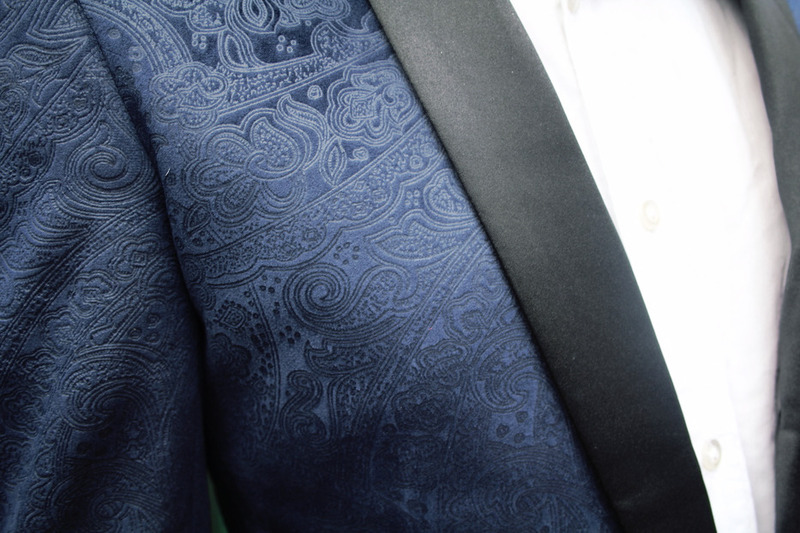 Dinner jackets aren’t something many young men consider as staples of their wardrobes. The last time I recall wearing one prior to 2017 was for an “Evening With Arnold Schwarzenegger” event in Leeds which featured a three course meal and multiple anecdotes from on the set of Predator. Nights like these are rare and so, I thought, were the opportunities to sport such formal jackets. Indeed, long-time readers of the blog will know of my fondness for, even preference of, smart, formal clothing. Even with this considered, I had assumed that dinner jackets may be something I’d struggle to incorporate into my day-to-day wear. This all changed when my eyes first set themselves upon this snazzy number from Dobell – an item I knew I had to have in my life. 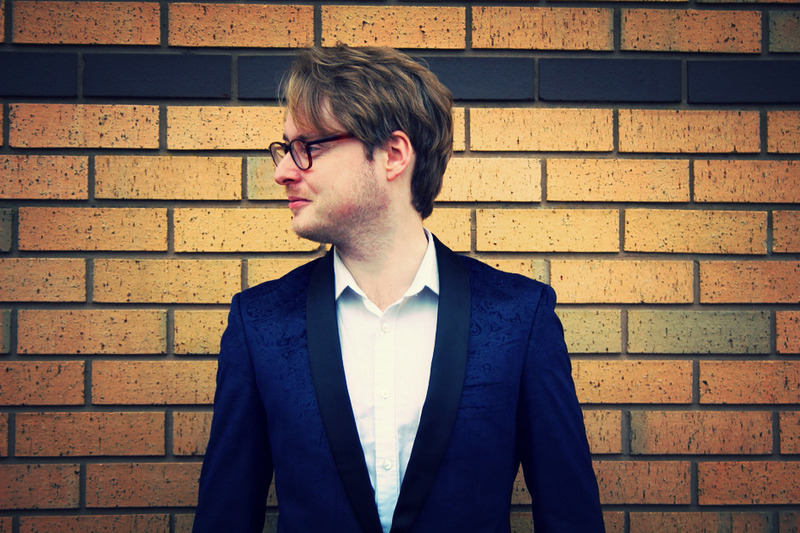 This own-brand jacket from the formal wear specialists Dobell is, instantly, one of my favourite items of clothing I now have at my disposal. Soft to the touch, high quality material and an item which bestows the wearer with an instant sense of regality - it's everything you could possibly ask for in a jacket. 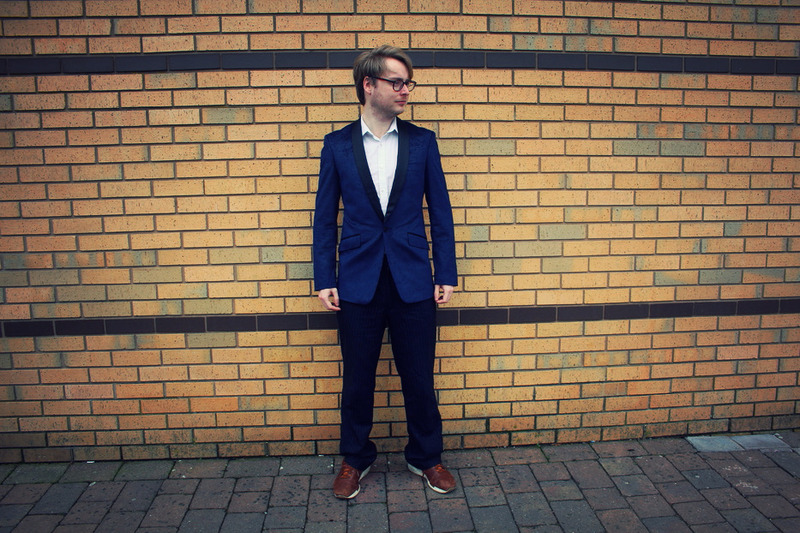 And, whilst the most obvious way of styling such an item is as part of a black-tie ensemble, I’ve taken to utilising the dinner jacket as the statement piece of a dressed-down, smart-casual look. As I hope to have illustrated with the photos which accompany this post, by teaming the jacket with trainers and a shirt (yet also eschewing neckwear of any sorts), the Slim Fit Velvet Paisely Jacket can be quite versatile – here I hope to have given a contemporary twist to the item aside from its obvious use in a more traditional, stately anchor piece in a formal composition. I'm hoping (despite my clear lack of modelling skills) to highlight the manner in which a potentially sombre item can be used as a key component in fresh and vibrant street styles. 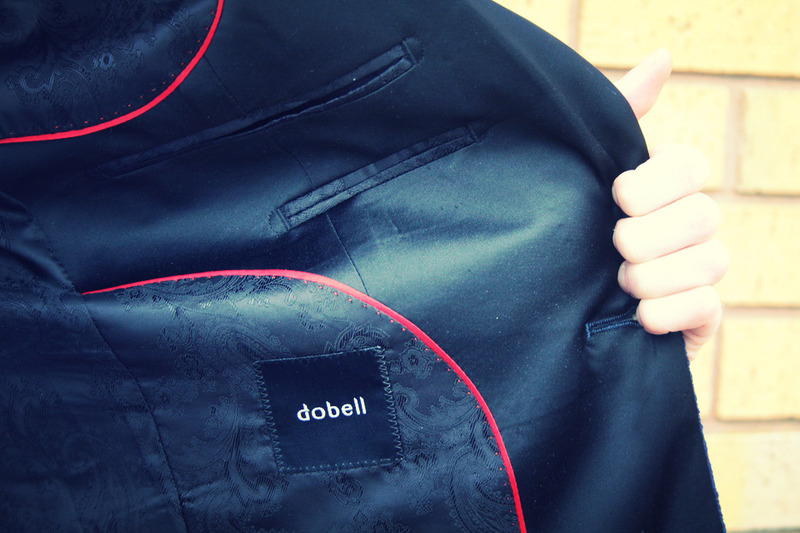 Whilst the dinner jacket in this piece boasts a rather ornate and aesthetically pleasing paisley pattern (a design I've always been rather fond of), I'd suggest browsing Dobell's website for further inspirations for anybody else tempted to implement a "dressed down" jacket look too - the brand have a wide array of motifs, ornamentation and variations on dinner jackets and formal wear. So, dear reader, if you're the type of dresser who prefers dark monochrome when it comes to your nightwear or, if like me, you like to mix and match styles, there's something for everyone there. 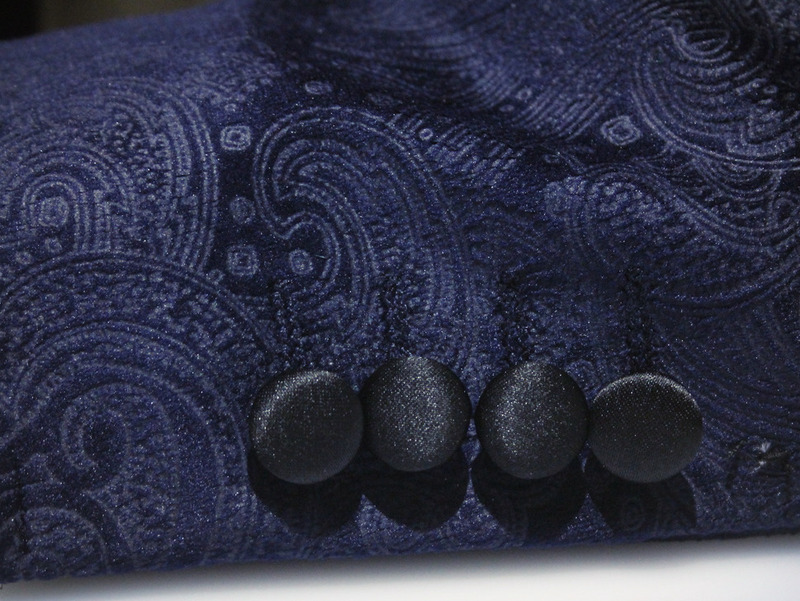 Currently retailing at just £99.99, this velvet Paisley Jacket (in case you haven't already gathered by the superlatives I've imbibed this post with) is a must-have item for gentlemen who take pride in their appearance this spring/summer. Very seldom does an item of clothing feel as good to wear as it looks but this is one of those instances - sharp, spruce, elegant and dapper, this from Dobell gets two thumbs up. 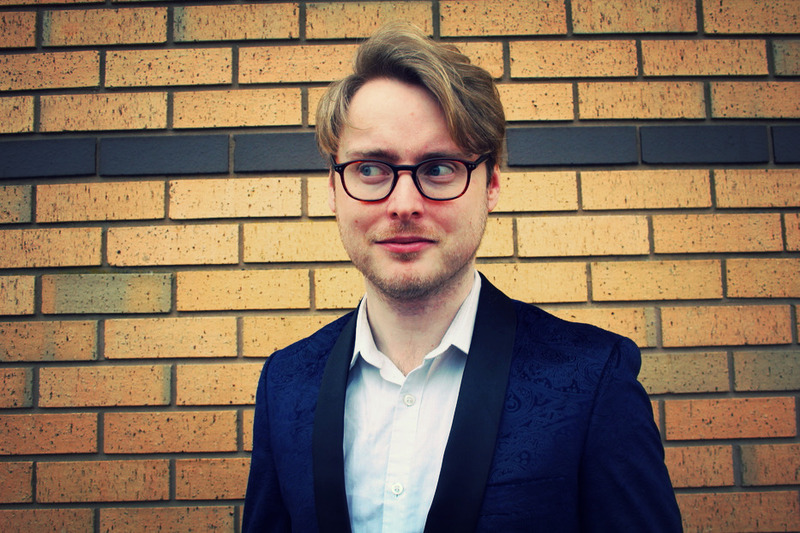 I might not get the opportunity to have a black-tie dinner with Arnold Schwarzenegger again any time soon, but I'll certainly not go as long without wearing a dinner jacket whilst I possess one as handsome as this.